Στην έκθεση του Essen, εκεί όπου η B&B θα παρουσιάσει ένα βελτιωμένο Volkswagen Polo WRC Street με 362 άλογα, η MTM θα παρουσιάσει και αυτή τη βελτιωμένη πρότασή για της για το συλλεκτικό Polo. Ο 2,0-λιτρος turbo κινητήρας στη προκειμένη περίπτωση αποδίδει 315 άλογα με τα 0-100 χλμ/ώρα ν τα κάνει σε περίπου 4 δευτερόλεπτα, έχοντας τελική ταχύτητα 260 χλμ/ώρα. Για εκείνους που τα 315 άλογα δεν είναι αρκετά, ο Γερμανικός οίκος μπορεί να κάνει τον κινητήρα να παράγει 380 άλογα. 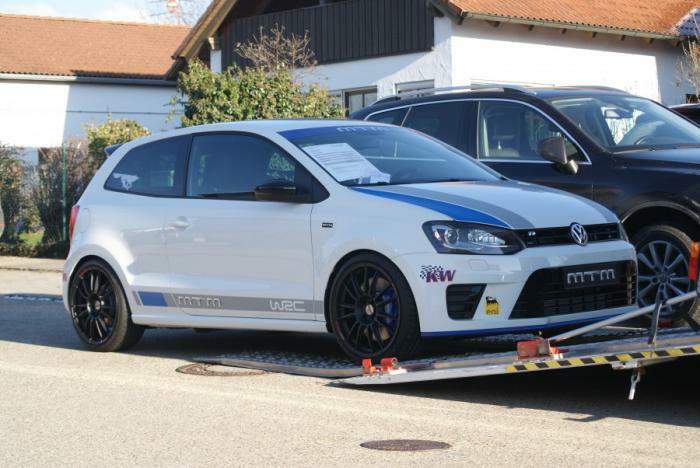 Η MTM έχει τοποθετήσει επίσης στο Polo WRC KW Clubsport ανάρτηση, μεγάλα φρένα και ζάντες αλουμινίου 18″ με ελαστικά Continental ContiSportContact 5 P.
The 315 hp VW Polo WRC and the expert hands of champion Sébastien Ogier were what it took for the world rally championship. 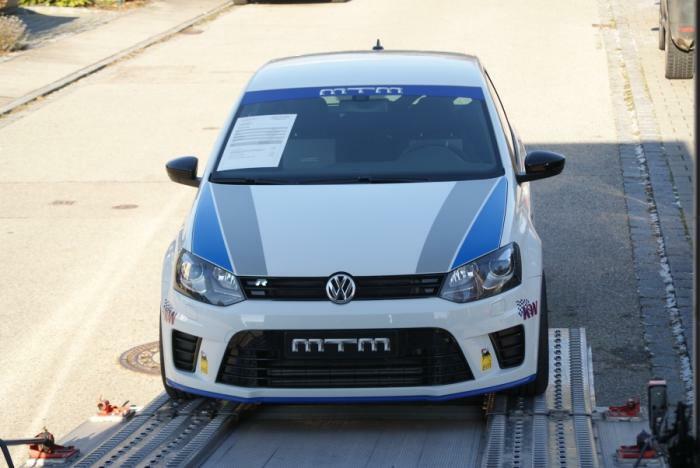 The road version of the Polo WRC unveiled by MTM in Essen is just as powerful, although not handicapped by an air restrictor, unlike the championship Polo. 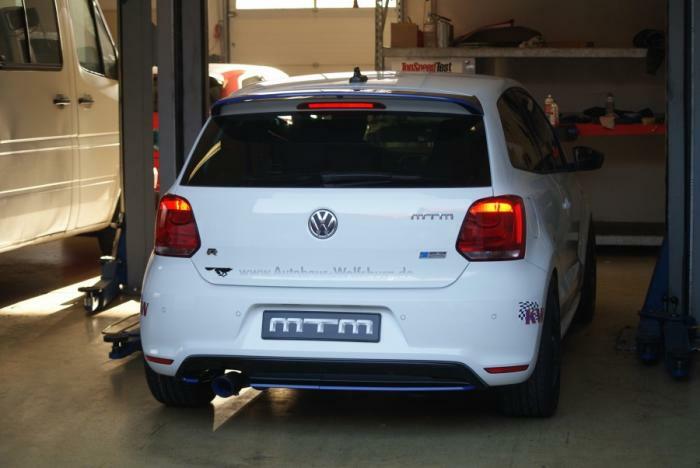 To keep this power unit suitably in check, meticulous precautions were taken with brakes and chassis: MTM 4-piston brake system with fixed callipers in addition to the tried and tested MTM Clubsport chassis with KW absorbers. 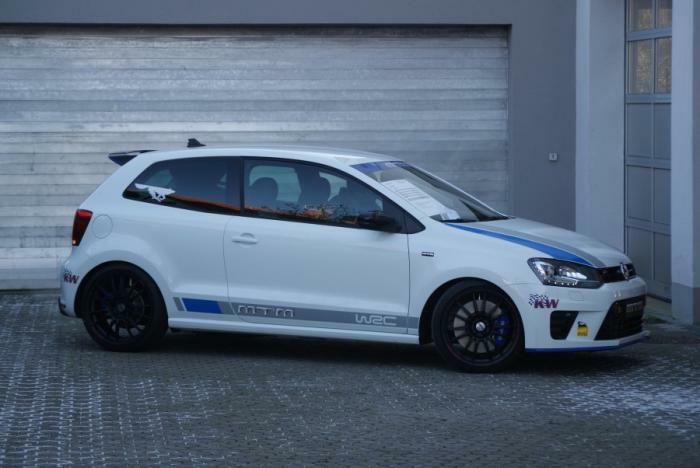 Road contact is assured by 8X18” Nardo wheels, shod with 215/35 ContiSportContact 5 Ps. A potent combination for all those David lookalikes who delight in hoodwinking the Goliaths. 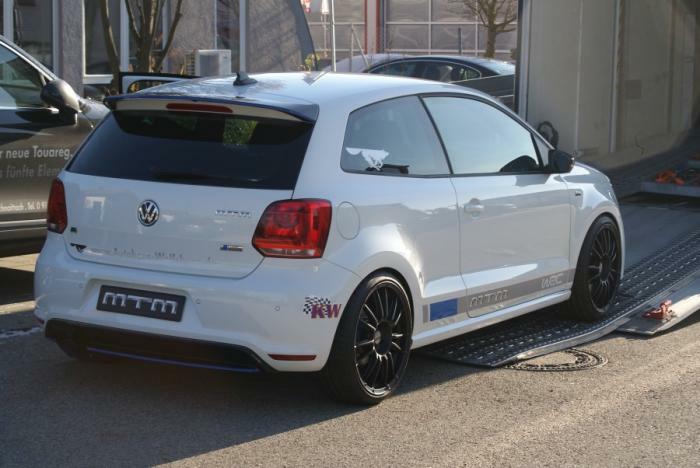 The MTM Polo reaches 100 km/h in a shade over four seconds, only reaching its top speed just short of 260 km/h. 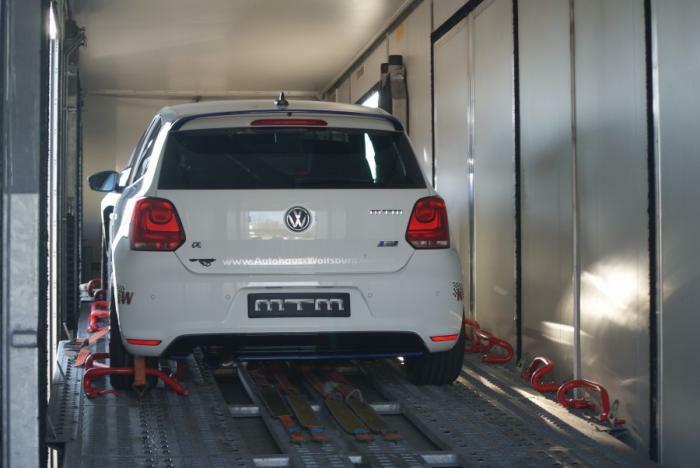 And if you then don’t mind it being a tad faster, then MTM could also offer a 380 hp version. 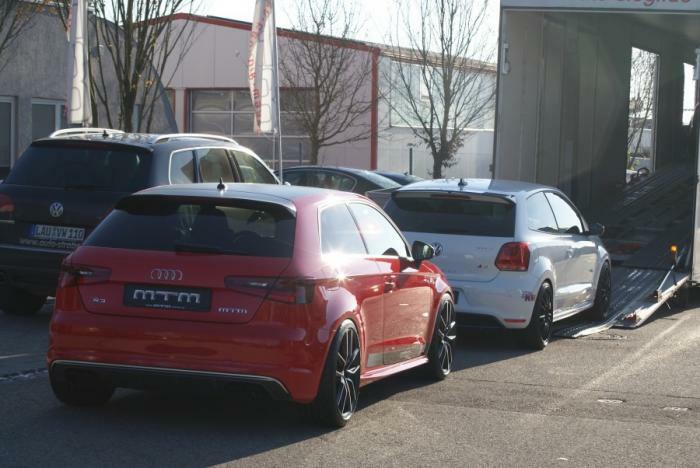 “Being more than appearances suggest – that has always been a favourite component of our company philosophy.” That is how Roland Mayer, Managing Director of MTM GmbH, refers to the second star of his cast, the 722 hp MTM RS6 R TFSI 4.0. “An Avant that most people will probably only get to see from behind”, crows Mayer. 722 hp and 880 Nm of torque make it so. There’s no point looking at the clock for the sprint to 100 km/h – what are three to four seconds anyway? It takes less than eleven seconds to reach 200 km/h with the limit at around 340 km/h. The Biturbo eight cylinder engine offers maximum power at almost every engine speed and for a price premium of not quite 18,000 euros, this leadership role contains ingredients of the finest quality: the price tag on the power upgrade to 685 hp alone is just short of 5,000 euros and the mtm stainless steel exhaust system with flaps in the front and main silencer worth almost 4,000 euros is included in the price. It ensures that acoustically as well it is always clear where the torque power play is headed. 295/35 ZR 20 Michelin Pilot Supersports on MTM 20” bimoto wheels offer appropriate feedback under load and when braking. The front axle is served by an mtm-defined Brembo monobloc six-piston braking system (405 x 36 mm) and punched brake discs. Not under-engineered for this powerhouse. 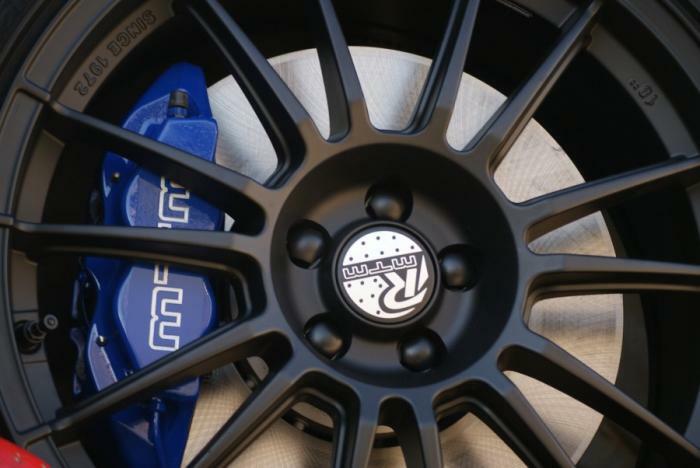 Wheel manufacturer BBS has staked out its turf in Hall 2 and is showcasing one car only to complement its striking new wheel creations: the MTM S3 is of course mounted on four of BBS’s new “XA”-type wheel, with 235/35 ZR 19 Pilot Super Sport tyres. These will lend the S3 a shapely pair of “legs” because it can run: from zero to 100 in 4.9 seconds, another 12.6 seconds to 200 km/h, reaching V-max at 250.